Ok, in our next steps what we're going to do is take a look at a couple different way to provide validation for our file. For example, maybe we want just files of a certain extension to be uploaded or we want to make sure that the file name meets certain parameters. We can do that but we have to work with files a little differently that we work with raw textual data. 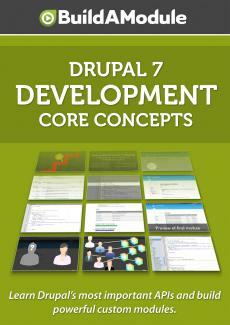 So go ahead and jump to your assets folder in Drupal site. And let's open up the third step which is called "hook-file-validate". Go ahead and copy the entire code and paste it over the code that currently in your "assets dot module" file and save it. Ok, let's go ahead and take a look at what's changed in this file. The only thing that we've added is this function right here called "assets_file_validate". And what this is is an implementation of a hook called "assets_file_validate". This will be run every time this "file_save_upload" runs. Though we can also trigger it in a couple other ways, but for now, let's take a look at what we have in this function. It's being passed a single variable which is called "file" and this contains the file object that's returned from this "file_save_upload".